I am loving more and more color with each passing day…so let’s take a peek at some really pretty rooms with more than a POP of color! 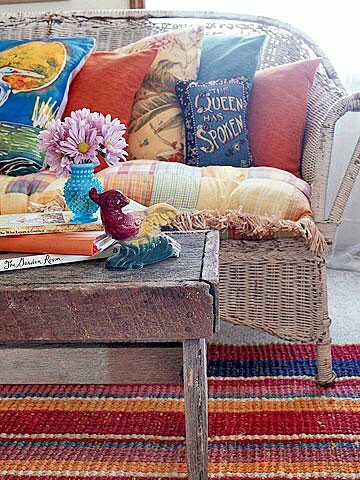 Over at Interior Design there color is everywhere! 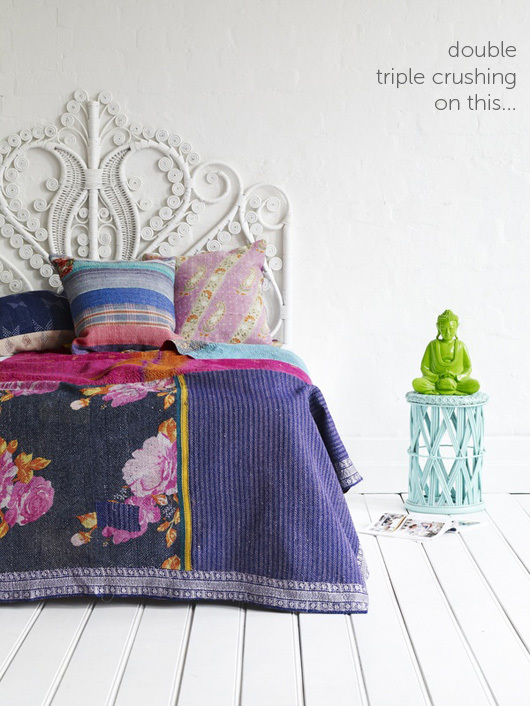 This room is like a breath of fresh air…I love it! 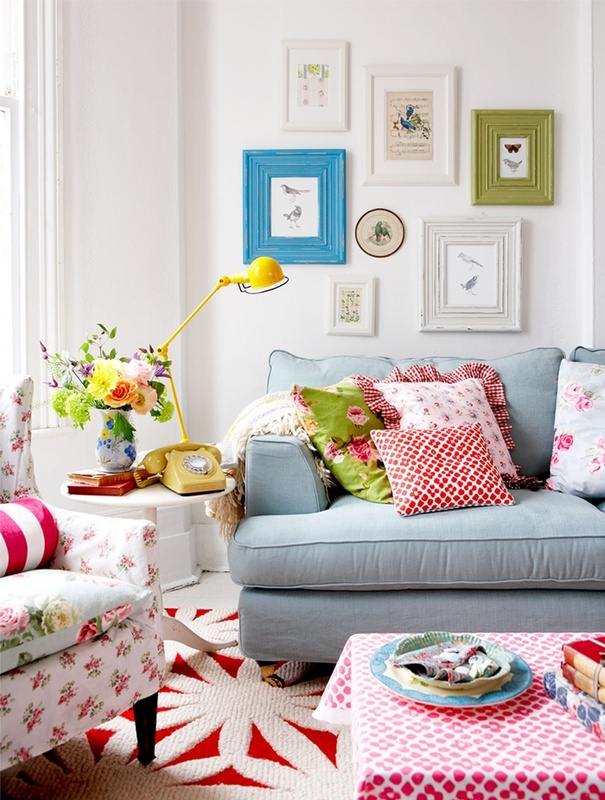 79 ideas blossoming with tons of color and this room is a picture perfect blend. Don’t you just want to sit on this comfy couch…grab a pillow…sit yoga style and enjoy a good book or a TV show! 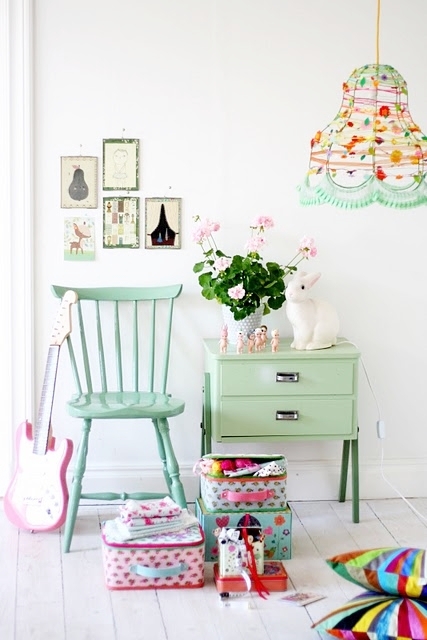 This room is filled with whimsy and joy! 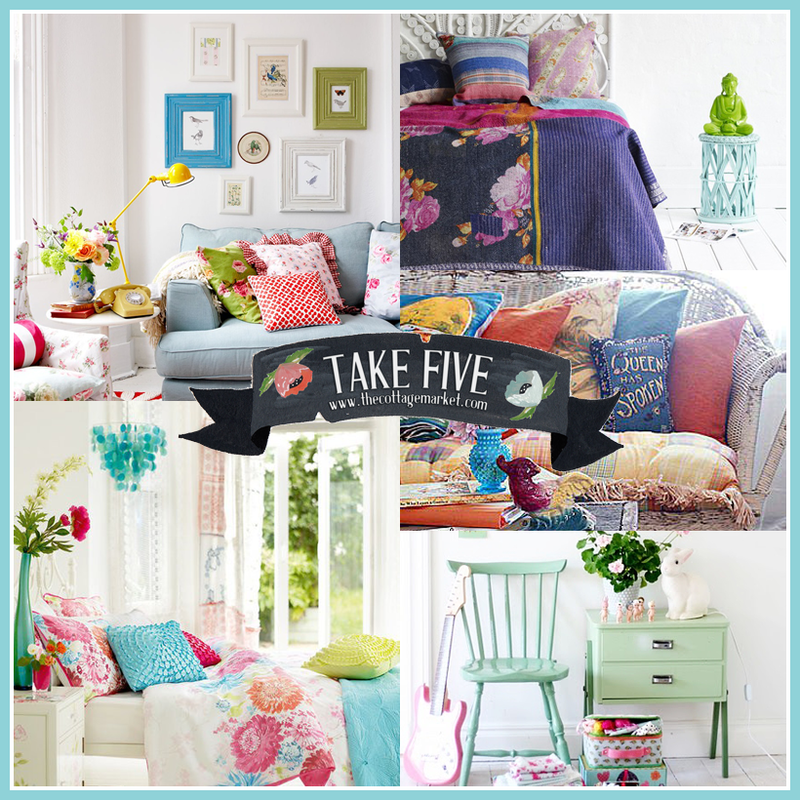 Now here is a very comfy cozy little cottage space that just says sit a bit…sip a cup of latte and chill! So…what’s the verdict? More color or less? Hope you enjoyed this little Take 5! More color, of course! 🙂 I love all of these, but I really adore the room from 79 Ideas. It’s really the look I want to strive for in our front living room. wow, thank you for mention 79ideas. it is very kind of you.